A national group that advocates for the separation of church and state has filed a lawsuit on behalf of 13 Acton residents who say the town is improperly using taxpayer funds for religious purposes. The Washington, D.C.-based Americans United for Separation of Church and State alleges that the town is violating the Anti-Aid Amendment of the Massachusetts Constitution by distributing community preservation grants to two local churches. The suit, seeking an injunction to stop the funds from being distributed, was filed Thursday in Middlesex Superior Court. The suit also seeks a judgment declaring that the use of CPA funds violates state law. 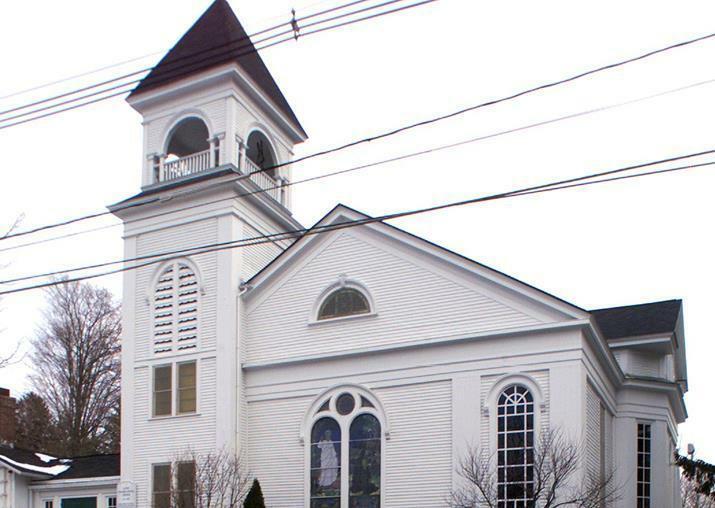 At its April 4 Town Meeting, Acton approved $49,500 for Acton Congregational Church’s master-plan for its three properties; $51,237 for that church’s stained-glass-window project; and $15,000 for South Acton Congregational Church’s roof. The properties date back to the 1800s and are located in historic districts. Peter Berry, the chairman of the Acton Board of Selectmen, said the funding requests were recommended by the town’s Community Preservation Committee, vetted by the town’s attorney and approved overwhelmingly by residents at Town Meeting. Berry, who is the selectmen’s representative on the town’s Community Preservation Committee, said the funds were granted based on the historic nature of the building. Berry also said that as part of the grants, the town purchased preservation restrictions for the properties, which he says is essentially buying an interest in the structures to help maintain the historic appearance. The restrictions require the churches to remain in their current historic condition in perpetuity, even if sold. He said the restrictions are part of all the CPA grants the town awards for open space and historical preservation. The Community Preservation Act is state legislation that allows cities and towns to create a local community preservation fund for open space protection, historic preservation, affordable housing and outdoor recreation. Funds are raised locally through a property tax surcharge of up to 3 percent. The legislation also created a Community Preservation Trust Fund, administered by the state Department of Revenue, which provides a state match each year to CPA communities. Stuart Saginor, executive director of the Community Preservation Coalition, a group that helps communities understand and implement the legislation, said each municipality decides how to spend the funds. He said the question of whether it is legal to grant funds to churches has been raised but he’s not aware of any case in which a city or town attorney raised a red flag. Saginor said a group of Oak Bluff residents on Martha’s Vineyard challenged the town’s use of CPA funds for the restoration of stained glass windows at Trinity Methodist Church in 2013 but the case never got off the ground. A superior court judge ruled against a motion for a temporary injunction to stop the funding. Also that year, Saginor said Americans United contacted the state Department of Revenue, raising concerns about CPA funding for churches. The agency sent a letter stating that it’s a local issue. Alex Luchenitser, the group’s associate legal director, said local members are concerned about taxpayer’s money being taken to support religious beliefs that they don’t subscribe to. Since the CPA was adopted in 2000, Luchenitser said more than $10 million has been allocated for church-related projects including several in Cambridge, Martha’s Vineyard, Nantucket and Cape Cod. Locally, Acton approved funds in 2013 for the West Acton Baptist Church for the creation of a master plan and restoration of the belfry. In 2011, Waltham approved funds for the renovation and restoration of Christ Church; and in 2006, Harvard approved funds for the Still River Baptist Church roof. Luchenitser described the Acton case is particularly “egregious,’’ and stronger than the one filed in Oak Bluffs. The 13 Acton taxpayer plaintiffs include George Caplan, Jim Conboy, Del Friedman, Daniel Gilfix, Maria Greene, Jesse Levine, Dave Lunger, Allen Nitschelm, Scott Smyers, William Alstrom, Jennifer Brown, William Brown, and David Caplan (no relation to George Caplan). Berry said the town supports the separation of church and state but believes the CPA funding is about history not religion. He said the Congregational Church, located in Acton center, is a direct descendent of the town’s first church.